The Rio Blanco County's fiber optic and wireless network project continues to make steady progress with services likely available in some areas by January. County IT director Blake Mobley offered the update at a recent meeting of the Meeker board of trustees. Asked by the trustees when broadband access would be available to residents, Mobley said, “I think it’s very likely local will be lit in 2016,” according to a report in the Times Herald. Currently, Rio Blanco County is building out an open access network in the towns of Meeker (pop. 2,500) and Rangely (pop. 2,400) and fixed wireless system across a county-wide tower network. The county plans to build infrastructure to the curb and allow private providers to finish the connections to residential and business customers from curb to premise. Cost of the first stage is estimated at about $13 million. 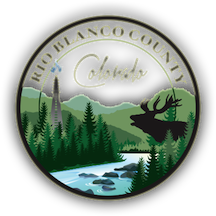 Rio Blanco County has a total population of 6,200 people over 3,000 square miles or an average of 2 people per square mile. In a recent report to the Northwest Colorado Council of Governments, Mobley said the fiber project will offer several tiers of Internet service, including 1 Gigabit (1,000 Megabits per second or Mbps) symmetrical to residential and business customers in Meeker and Rangely. Gigabit service from Cimarron Telecommunications, one of the first providers to offer services over the county network, will cost $70 per month. Meanwhile, most rural subscribers who are outside of Meeker and Rangely, will have access to Internet speeds of 25 Mbps download and 5 Mbps upload with no data cap over the fixed wireless system, Mobley told us. The Rio Blanco County fiber network will provide residents and businesses in Meeker and Rangely an alternative to DSL service from Centurylink and Strata. Rio Blanco County is financing the stage 1 of the project from two grants from the Colorado Department of Local Affairs (DOLA); a $2 million general appropriation to build the fiber network and a $1.66 million grant to erect 8 to 12 towers for fixed wireless coverage. The bulk of the remaining financing is coming from internal County funds and also some assistance from community anchor institutions and other partners, Mobley said in episode #158 of the Community Broadband Bits podcast last year.